Vacation Rental Marketing Tip "Love Thy Renter"
Ok, we know it’s important to have a strong vacation rental marketing campaign in this competitive game of online marketing. But what’s the point of having leads come in from your vacation rental marketing if you let other owners steal them from you. What are you selling? Are you selling a week’s rental in your vacation rental or are you selling a vacation experience? A vacation rental home owner needs to picture themselves as being a travel planner not a person who owns a house for rent. A renter is really just a traveler and to be honest, travelers don’t really care too much about your vacation rental home. 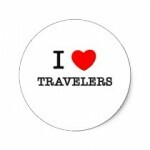 A traveler cares about their vacation experience. This is why you should act like a travel planner, helping your traveler plan the perfect vacation experience. Travelers want to know that they’re going to go on vacation and have an amazing time, each travelers definition of amazing is different. It’s your job to understand what the travelers looking for and help them get what they want. There are very few vacationers who know exactly what they want and or need. there are others who have no clue and are going to need someone to help. Are you offering help to your travelers? Alot of vacation rental owners are trying to rush through the rental process and try to get travelers to book as quick as possible. There’s nothing better than a quick sale where the renter knows exactly what they want and they give you their credit card to book your vacation rental, but they are not the norm. Travelers will usually ask a number of questions which requires your help before booking. There are many travelers who have never rented a vacation rental before. They will have numerous questions and will not feel comfortable making a booking until their questions are answered, only then will a traveler move forward and book your vacation rental. They want to know things like what is there to do, what should I expect, what to avoid, and how to make it all happen. Offer suggestions and tips to help them further understand their needs then show them how your vacation rental can meet those needs. This point is crucial; if you help them get answers to their questions you would have helped to move the renter from the research process to the booking zone. Don’t try to close the sale too early without answering their questions and overcoming their objections first. If you rush travelers into renting your vacation rental you will miss your opportunity. Take your time with your travelers to bring them to the “point of sale”. The vacation rental owner who spends their time to show their renters some “love” will usually get the booking, “love thy renters” treat them like a friend, after-all they are the life line of your rental business. Look at your renter as a friend of yours who is coming into town rather than a stranger you’re trying to get some cash from and you’ll see your rentals climb. The best part about you implementing this type of customer service for your rental business is that a large majority of owners are not offering this level of service and by you doing so you will make your rental shine above other rental owners causing renters to cling to you. To be frank I’m quite disgusted on how some homeowners treat renters. In some cases home owners don’t want to be bothered by the renter but yet they want their money and they want it fast. They lose their patience with rental clients if they take a little longer than normal. Just the other day my good friend contacted me and told me he would be coming into town, so I told him I would find him a vacation rental but all of the properties in our vacation rental marketing programs were already booked. So, I went online and found a property I thought would be suitable for my friend and his family’s vacation. I called the home owner (who will remain anonymous) and just as I told them I was calling about their vacation rental, the owner said I’ll call you back. I was rudely rushed off the phone so they could click over on the other line to speak with someone else, I assume was more important. Hey, I’m not one to get my feelings easily hurt but I can see how a renter could get extremely annoyed by something like that. I understand the rental owner may have been busy but the situation should have been handled a lot better. If they didn’t have the time they were better off letting the call go to voicemail. I would’ve left a message and then they couldve contacted me when they had the time to work with me. To be honest we didn’t book that vacation rental for my friend he booked another property from a homeowner who helped him get exactly what he was looking for and answer all his questions. Vacation rental owners who do not handle their vacation rental business seriously and give sub-par customer service effect the vacation rental market place as a whole. As vacation rental owners we need to stay on top of our game. The vacation experience begins when the travelers start searching; offer them a great vacation experience. Be a professional and love your renters! Think of yourself as a travel planner and travelers will plan with you. These tips will help you make the most out of your vacation rental marketing without spending a single dollar more on your marketing.